The closest anyone can ever get to mocking a celebrity in good nature without any ‘comeuppance’, the roast is an A-list starring form of entertainment that has been popularised over the last decade by Comedy Central (via their Comedy Central Roast series), with the 13th and next target of the series confirmed as being a 90-minute tribute to American actor James Franco. Due to broadcast this evening (2 September) at 10/9c on the network, the event filmed in Los Angeles (USA) last weekend was first confirmed in July, but on this occasion, The Comedy Central Roast of James Franco will be shown to online viewers through a streaming service simultaneous to the premiere on TV. Comedy Central have noted that the event will air on their website alongside the CC:Stand-Up service, with coverage on CC services on mobile devices and Xbox 360 also offered. Streaming will also occur for the episode’s immediate encore at 11:30pm/10:30c, which will include an overlay of Facebook and Twitter posts on the jokes and performances as they happened. Like any major celebrity event, the roast will be preceded with a 15-minute ‘red carpet show’, presented in this case by comic actor Jonah Ray and James Franco’s grandmother Mitzie Verne. 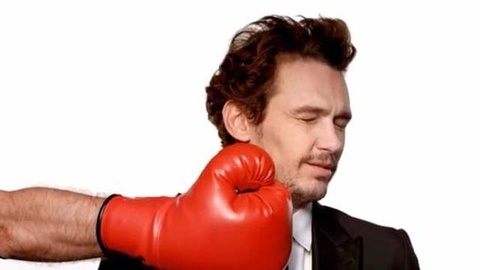 The main attraction, however, will be the cast list brought in to mock their titular target, led by ‘roastmaster’ Seth Rogen, and including Bill Hader, Jonah Hill, Aziz Ansari, Jeff Ross, and Sarah Silverman amongst those that will take to the ‘dais’ to give James Franco a Comedy Central roasting.